Don Roddy Boggus obituary. Carnes Funeral Home. Don Roddy Boggus, 78, departed this earth to the comfort of Jesus his savior on September 19, 2017, at home surrounded by family after a lengthy illness. He was the husband of Mary Lou Boggus of Wilson, Texas. They shared 57 years of treasured marriage. Born in Fort Worth, Texas on November 11, 1938, he was the son of Louise Easter Bills and Bert Roddy Boggus. He attended Lubbock High School and graduated from Texas Tech University. He worked as a CPA for many years in Corpus Christi and most recently in Houston. He was a member of Second Baptist Church in Houston were he had served as a deacon. Due to recent physical limitations he had enjoyed attending nearby Sugar Creek Baptist Church. He was also a member of the Texas Society of Certified Public Accountants and Antique Automobile Club of America-Gulf Coast Chapter. He will be remembered for his love of family, quick wit and unique sense of humor, including his one of a kind birthday email cards to himself. Gospel music, laughing with friends and watching old westerns were some of his favorite pastimes. Known as the “sound man” and the one non-singer of the family, he loved music and operated the sound equipment with precision. Don is survived by his wife, Mary Lou Boggus; children Roddy Boggus and wife Mary, Randa Boggus Nelson and husband John; Laura Boggus Casanover and husband Rex, Larry Boggus and wife Crissy; sisters Bebe Baynham and Robbye St. Pierre; grandchildren Jonathan Boggus and wife Chelsea, Ava Nelson, Kyle Casanover, Kory Casanover, Stephen Nelson, Courtney Boggus, Abby Nelson, Kohl Casanover, Noah Boggus and Nicolas Boggus. A memorial service and celebration of life will be held Friday, September 29, 2017 at 11:00 a.m. at Sugar Creek Baptist Church, 13213 Southwest Frwy, Sugar Land, Texas 77478 (it will be in the Chapel which is the building just before the Chevy dealership). Memorials in lieu of flowers may be made to KJIC christian radio station (PO Box 1338, Sante Fe, Texas 77510) or Sugar Creek Baptist Church, Capstone Ministries, 13333 Southwest Freeway, Sugar Land, TX 77478. 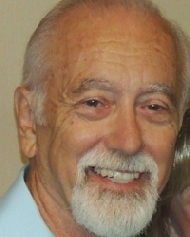 (please include a note that it is a memorial to Capstone Ministries in memory of Don Boggus).